Wake-promoting medication for narcolepsy and hypersomnia. What are the options? In managing narcolepsy and hypersomnia, it’s important to use non-drug strategies such as napping and managing commitments. However, despite this wake-promoting medication to help people stay awake and manage other symptoms such as cataplexy or sleep disturbance are often needed. The 4 most commonly used wake-promoting medications are modafinil (Modavigil or Provigil), armodafinil (Nuvigil), dexamphetamine and methyphenidate (Ritalin). Sodium oxybate (Xyrem) has become available in Australia under the Special Access Scheme. 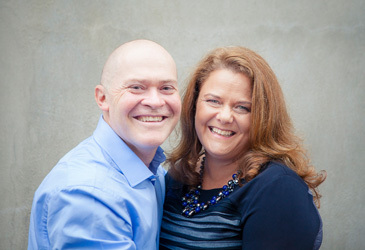 Ensure also using non-drug strategies: My general approach is to implement non-drug strategies such as scheduled napping and ensuring good general health and fitness before starting wake-promoting medications. 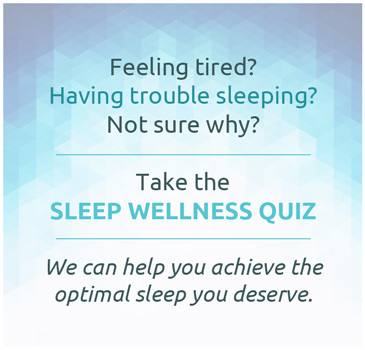 Even with medication, it’s important to pay attention to these factors as they can allow medication to work more effectively as well as reduce the intrusive sleepiness that is a part of narcolepsy and hypersomnia. Recognise limitations of medication: It’s important to set expectations about medication and what they can and can’t do. Unfortunately, current treatment options aren’t perfect, and most people find them partially effective. 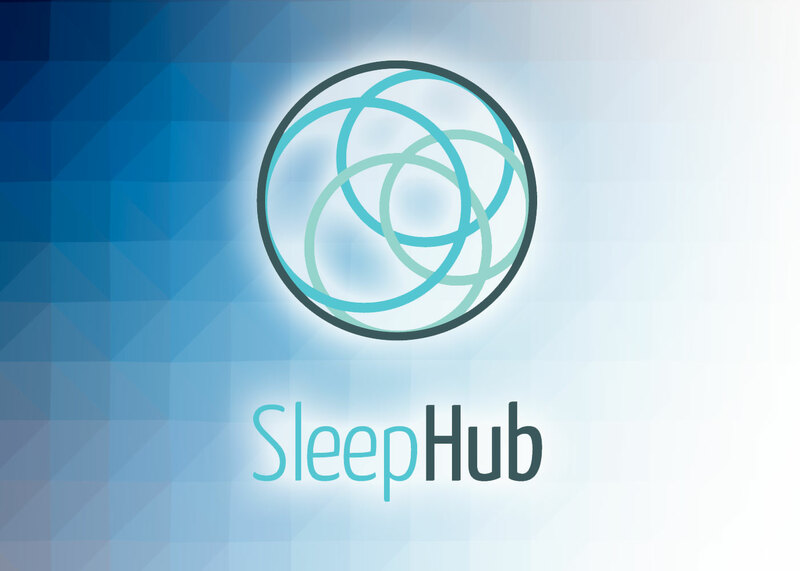 That is, they reduce sleepiness but don’t get rid of it all together. Relying on medication to do all the work and expecting it to return function to normal often leads to doses of medication being too high and getting more side effects. Start low, go slow: I’ll generally start wake-promoting medication at a lower dose than I expect to be effective and have people gradually increase the dose. This seems to reduce the rate of side effects and also allows people to get a feel for what dose they find begins to have an effect, what dose gives them side effects, and what dose provides the best balance between positive and negative effects. Allow some dose flexibility: If people respond well to a particular medication, we’ll decide what the regular, or most days, dose is which is generally the dose they have found that provides the best balance between positive effects and side effects. We’ll also agree on a higher dose that can be used on odd days or when very tired because of circumstance like illness or unexpected commitments, and a lower dose than can be taken on days off or days when not much is planned. May need to trial a range of medication: I see starting medication as a trial to see how people respond, as everyone seems to respond to medication differently. If people don’t respond well to the first medication, then I’ll try a second or even a third. The 4 commonly used medications (outlined below) all work differently and some people respond to one but not another. Also, as they have different actions and duration of action, I’ll sometimes use a combination of medications. This can increase the risk of side effects, so is something to do cautiously. Remember medications are a treatment not a cure: Current wake-promoting medications are treatments that help to manage symptoms of sleepiness but don’t cure narcolepsy or hypersomnia. So, decisions about whether to take medications should be largely driven by the person who has narcolepsy. Trialling medication and getting a feel for what benefits there are for them and what side effects helps inform that decision making. I do see a number of people who trial medication and elect to manage their narcolepsy symptoms without medication. Treat medications and prescriptions with respect: All of the wake-promoting medications can be associated with side effects, particularly if started or stopped too quickly. Prescriptions are also tightly controlled by state and federal governments and not easily replaced if lost. Medication for narcolepsy and hypersomnia. What is used? Modafinil (Modavigil in Australia, Provigil in US): Modafinil is a wakefulness-promoting drug (eugeroic) with a duration of action of around 6-12 hours. It comes in 100mg tablets, and in narcolepsy is used at doses of up to 400mg daily. Although modafinil is reasonably long acting, it can be taken in divided doses with a second dose around the middle of the day. Exactly how modafinil works is not clear, but it seems to be more selective than the other medications, working predominately on wake-promoting centres in the brain. This means it is less likely to cause side effects of over stimulation or cardiovascular effects than the other medications. Armodafinil (Nuvigil): is the r-isomer of modafinil with a longer duration of action than modafinil. It is now approved for use in Australia, and has been available for some time in the US and Europe. Armodafinil consists of the more active isomer of modafinil, so the equivalent dose used in milligrams is lower than for modafinil. Typical doses of armodafinil are 150mg or 250mg taken first thing in the morning. Cost is one of the barriers to use of modafinil and armodafinil in Australia. Without PBS subsidy, modafinil costs around $3.50 per 100mg, and armodafinil $2.50 for 50mg. To access modafinil or armodafinil on the PBS an application needs to be completed by a sleep physician or neurologist and people need to meet a number of criteria outlined here. In essence people need to have narcolepsy and either cataplexy or an abnormal multiple sleep latency test, have reasons they can’t take dexamphetamine and not have other medical conditions that could account for their sleepiness symptoms. Dexamphetamine: is an amphetamine-based psychostimulant that has been used as a treatment for narcolepsy for many years. It comes in 5mg tablets and can be used at doses of up to 60mg daily. It has duration of action of 3-6 hours and the effect comes on quickly, usually within 30 minutes, which means it can be taken as 2-3 doses across the day. Dexamphetamine works by activating the sympathetic nervous system, the ‘fight flight response’ so, in addition to helping people feel more awake, can increase alertness and give a sense of being ‘on’. It can also increase heart rate and over time lead to high blood pressure or heart wall thinkening. Dexamphetamine is available on the PBS in Australia. As it’s an old medication it’s very cheap, so even without PBS subsidy it is around $15 for 100 tablets. New formulations of dexamphetamine that are longer acting such as lisdexamfetamine (Vyvanse) are also now available in Australia. However these are not approved for use in narcolepsy and not subsidised on the PBS. The cost is around $115 for 30 x 30mg tablets. Methylphenidate (Ritalin / Concerta): Methylphenidate, is chemically somewhat different from dexamphetamine, but is also a psychostimulant. In addition to narcolepsy and hypersomnia, methylphenidate is also used to treat attention deficit disorder. As Ritalin acts in a similar way to dexamphetamine, activating the sympathetic nervous system, effects and side effects are similar to dexamphetamine. Ritalin comes in a range of tablet sizes and both long and short acting formulations and can be used in doses up to 60mg daily. Short-acting forms come in 10mg tablets, and long-acting forms (Ritalin LA) comes in 10, 20, 30 and 40mg. Another formulation of methylphenidate called Concerta is also available in Australia. It is a long-acting formulation and comes in doses of 18, 36 and 54mg. Methylphenidate is not subsidised on the PBS in Australia for the treatment of narcolepsy. It costs around $10 for 100 x 10mg Ritalin tablets, $40 for 30 x 30mg Ritalin LA tablets, and $54 for 30 x 36mg Concerta tablets. Sodium Oxybate (Xyrem): Different to other wake-promoting medications, rather than turning on or activating the ‘wake system’, sodium oxybate reduces sleepiness via different mechanisms mediated by GABA. Sodium oxybate comes in liquid form (500mg/ml in 180ml bottles) and is used at doses of up to 9grams per night in 2 divided doses. It has a duration of action of 2-4 hours, so a dose is taken on getting in to bed, then around 3-4 hours later. Sodium oxybate works by acting on the GABA and GHB receptors. As sodium oxybate is a powerful sedative the most common side effect is over-sedation which can be severe enough to suppress breathing if the dose is too high. The use of sodium oxybate is very tightly controlled as it is not approved for use in Australia and is classed as a controlled substance (Schedule 8). It is also not subsidised on the PBS. These barriers mean that sodium oxybate has only been used in around 50 people in Australia with narcolepsy. Currently sodium oxybate costs around $600 per bottle (90grams/180ml). Whilst it may become subsidised on the PBS in the future, it would need to be registered first which is a time consuming and expensive step. 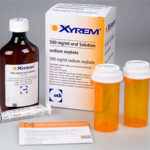 To prescribe sodium oxybate, a sleep physician needs to get individual approval from the Therapeutics Goods Authorty (takes about a week), a state government permit to prescribe a schedule 8 substance (also takes about a week) and complete a pre-treatment interview including signing of consent to use the drug. More detailed instructions on accessing sodium oxybate (Xyrem) in Australia are available in this post. Don’t rely on medications to do all the work. Make sure non-drug strategies such as napping, managing general health and not over-committing are also part of your treatment plan. How are medications used in practice? 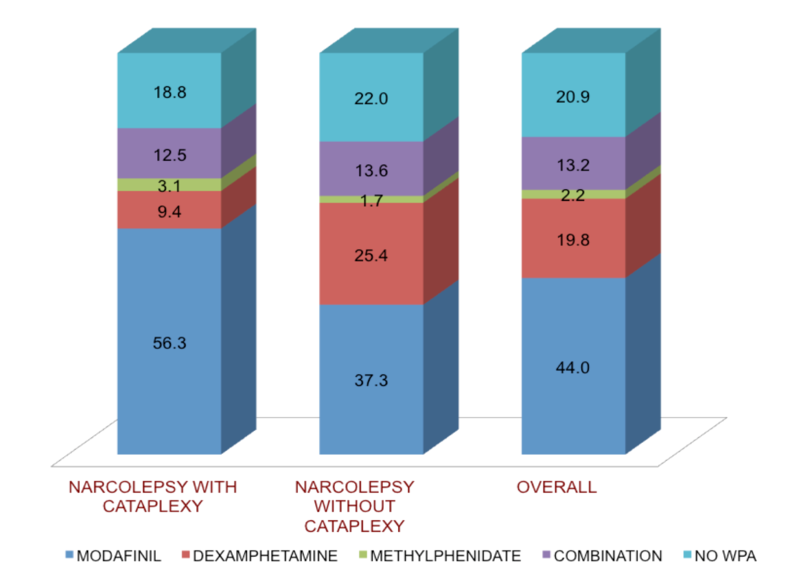 To give you an idea of which medications are used, the graph below shows the proportion of people with narcolepsy on different wake-promoting medications in my practice. This was an audit of 91 people with narcolepsy I managed in 2013. People with cataplexy were more likely to be on modafinil (56% vs 37%), whereas those without cataplexy were more likely to be on dexamphetamine (25% vs 9%). I think this relates to the PBS criteria in Australia which make it easier to access modafinil for those with a clear history of cataplexy. After complaining of extreme fatigue from the time I was in my early twenties, someone finally did a sleep study that required two days. I’d already been placed on a CPAP machine and was still experiencing extreme fatigue. I have been formally diagnosed with narcolepsy. The Nuvigil I cannot afford with my Insurance out of pocket it was $463.00 the month. Now on Ritalin and I have horrible side effects. I’m constantly nauseous, sweat profusely, many more side effects. Is there anything that would have less side effects that I could try. Because of surgeries and extreme stress in my life my neurologist is going at a slower pace with adjustment of the medications. The nausea is just terrible and the profuse sweating. Any suggestions? Denise, I can’t give you specific advice and you should discuss your treatment with your neurologist. In general, in this situation I would try a different stimulant such as one of the amphetamine compounds. Sometimes people don’t get as much of the sympathetic side effects that you’re getting. An alternative would be Xyrem, but that is both expensive and interacts with lots of other medications. Please be careful with Modafinil. I have taken it for 9 years for MS fatigue and now have chronic insomnia, which has been diagnosed by a sleep consultant as a long term side effect that could take up to 5 years to right itself. My life is on hold as I try and get through this nightmare. Zoe, whilst Modafinil can cause insomnia in the short-term, which is easily managed by reducing the dose or stopping Modafinil, it doesn’t cause long-term insomnia that takes years to resolve. That hasn’t been reported in any medical research and isn’t seen by specialists working in this area. Most likely there are other factors that have contributed to your insomnia. i am a fully diagnosed narcoleptic but some idiot said i have schizophrenia and i have been forced to take medication for that even though i think i dont have s i have n and have had my sleep studies to prove it and have been observed. it is a very long and complicated story so please get back to me because ineed my narcolepsy meds urgently but i cant get my dex at the moment because someone has made it impossible. please get back to me because this is extremely urgent. thanks john.